Brandon began working online 5 years ago when he left his old and boring Finance job. He now works at home with his wife and five kids. My wife and I are parents that make our kids do chores. We use MP3 players as a way to incentivize them to do it. While we have various speakers around the house it drives me crazy when there are multiple songs going on at the same time. So, a portable MP3 player with their songs is the perfect option. Having broken, lost, or washed a plethora of MP3 players, we've tried quite a few of them. Here's a look at a few of our favorites. 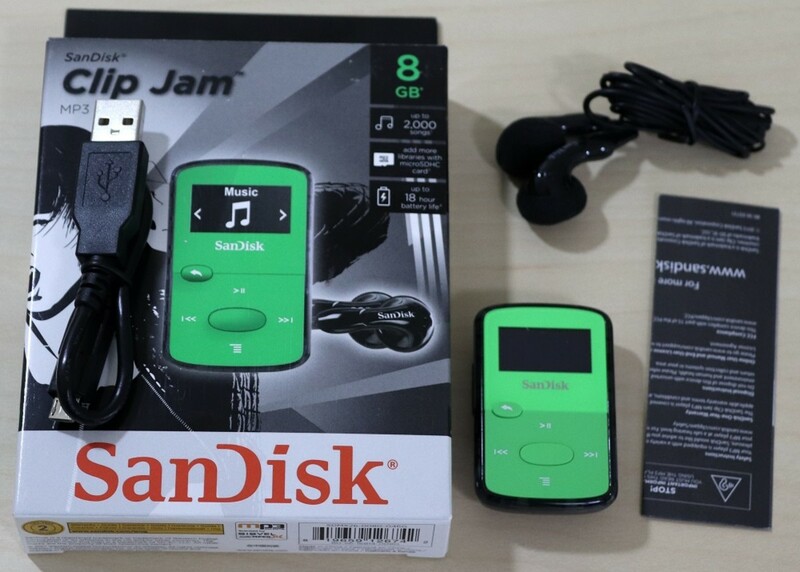 One of the most popular MP3 players you'll come across is the Sandisk MP3 player. It's available in a standard .96" LCD screen, and a 1.44" LCD screen with and without Bluetooth. For capacity, you can also order it in 4GB to 16GB sizes. That's quite a lot of music. I've owned the Bluetooth and standard versions for a while so here is my perspective on each. First of all, the Sandisk MP3 player is not for everyone. It's rather small for little kids, which I've found to not typically be a good thing. For my 12-year-old it's perfect. the 8GB .96" LCD version is $30, has a rich sound quality built-in, and an 18-hour battery life. It's also available in black, orange, and green colors. For him, I got the orange so it's easier to find if he misplaces it. You can get the larger LCD screen here as well, but you pay around $15 more for slightly better navigation. The 1.44" LCD screen version also offers a memory slot card and works with microSDHC cards up to 32GB. 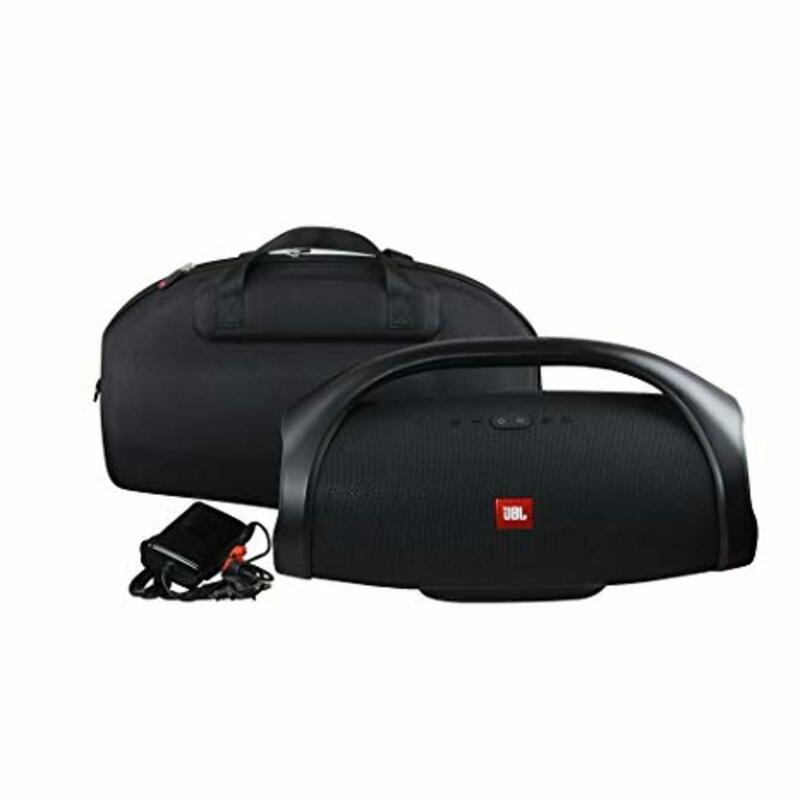 This is great for additional music and audiobooks. For me, that wasn't worth it; however, if your child listens to a lot of audiobooks I could definitely see why you'd want to go in that direction. Most of the MP3 players out there come with a pair of cheap earbuds. This one did. That being said most of them are terrible. That includes Sandisk's option which is too big and uncomfortable for my ears. Out of all the MP3 players I reviewed, the Sandisk options have the most intuitive menu and most professional setup. Other options on this list are similar in price. 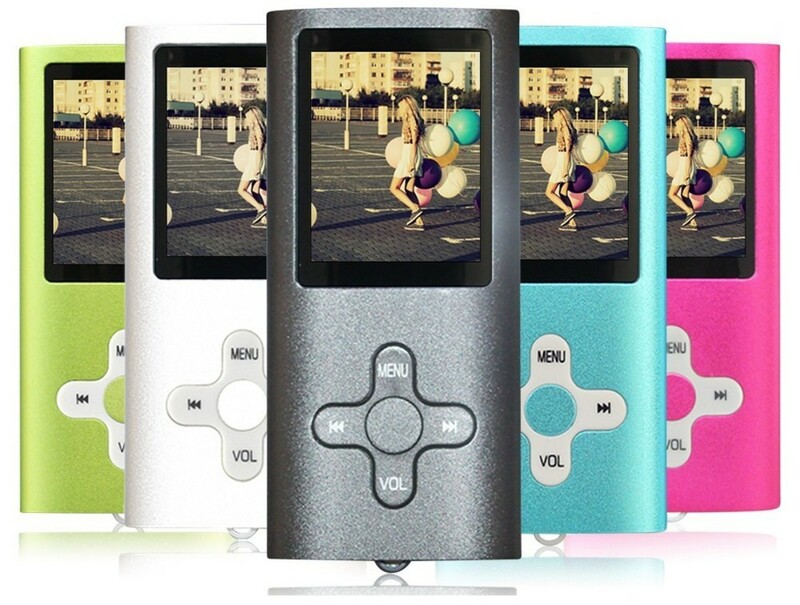 The Hotechs MP3 player is cheap, has good audio, and comes in 13 different colors. If you're looking for a cheap and good MP3 or even MP4 player, check out the Hotechs 16GB option. For $20, it's affordable, comes in 13 different styles, has 16GB of storage, and gives you fairly good audio quality. However, it has a few things going for it. It's a bit larger than the SanDisk .96" LCD model, comes out of the gate with 16GB (micro SD supports up to 64GB more, and can play AMV and AVI video formats. This MP3 player includes a standard charger and braided earbuds. Don't expect it to replace your iPod. That being said, for $20 it's a great option for young kids. The difference in audio quality between this MP3 player and others on this list mostly has to do with the earbuds or headphones you're using. All of them were better than I expected. The menu for this MP3 player isn't super intuitive. That being said once I got the hang of it it was no big deal. The Hotechs MP3 player is cheap and has earbuds that actually fit my kid's ears. So, for $20 it's a pretty good deal. Considering you'd pay $10 for a decent pair of earbuds this option is about $20 cheaper than the rest of the competition, has plenty of colors, and decent quality. It's a good cheap option for kids. 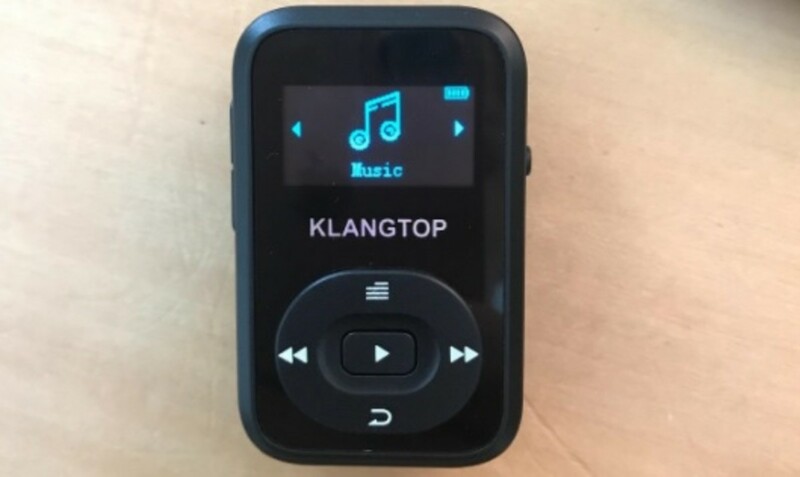 If you're looking for an MP3 player that has a few more features than the SanDisk player above, a similar design, and a lower price point, check out the Klangtop 8GB MP3 player. One of the key features for this model is Bluetooth 4.0 support in a $30 price tag. It includes earbuds, although I'd consider them mediocre at best. This is great for my son who plays soccer, as he runs quite a lot and likes to use this with his Bluetooth earbuds. The long charge, around 30 hours, is much better than trying to wear an armband with his phone. For sound quality, I'd consider it on par with the SanDisk Sansa Clip +. If you want the most out of it, you'll want to get a decent pair of earbuds as well. 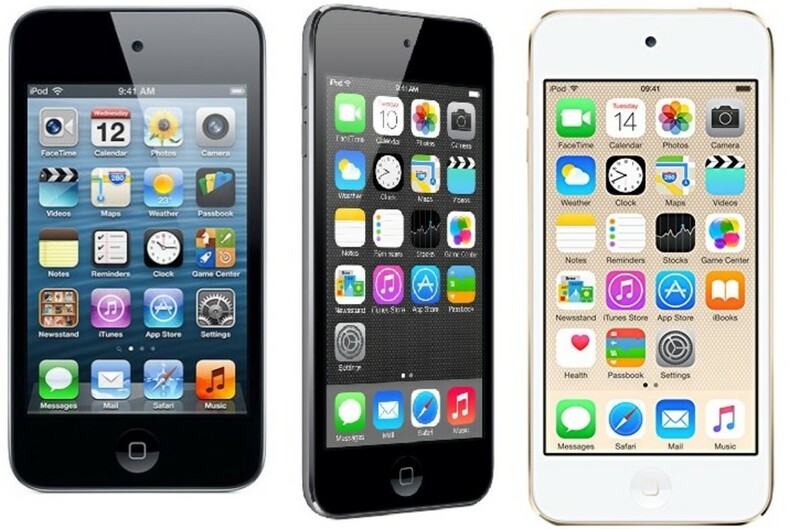 Here's a look at the 4th, 5th, and 6th generation of iPod touch side by side. 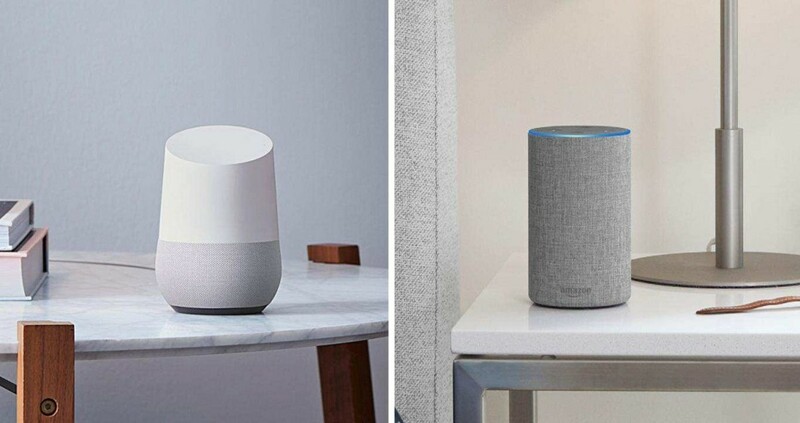 Going with a used or refurbished previous generation model could be a good idea here. There are a lot of options you could go with here. The latest generation of the iPod Touch is the 6th. It's available in 32GB models for $200 and 128GB for $300 on Apple's website. If you go this route you're getting more than simply an MP3 player here. You're getting a device that can be setup to text, watch videos, and play games from the App store. The Ipod touch also includes Apple EarPods, a camera that shoots 1.2MP pictures and records in up to a 720p resolution. This is a great solution for parents looking for an option that allows their children to text, but don't want to pay for a phone plan as of yet. An alternative to the 6th generation would be to take a look at the 4th generation iPod Touch, available for $30 Used on Amazon. It's not quite as modern or sleek, but carries much of the same features. The 5th generation, which looks quite a bit more modern, is available for as low as $90. Overall, this is a great option used or new if you're willing to spend the money. 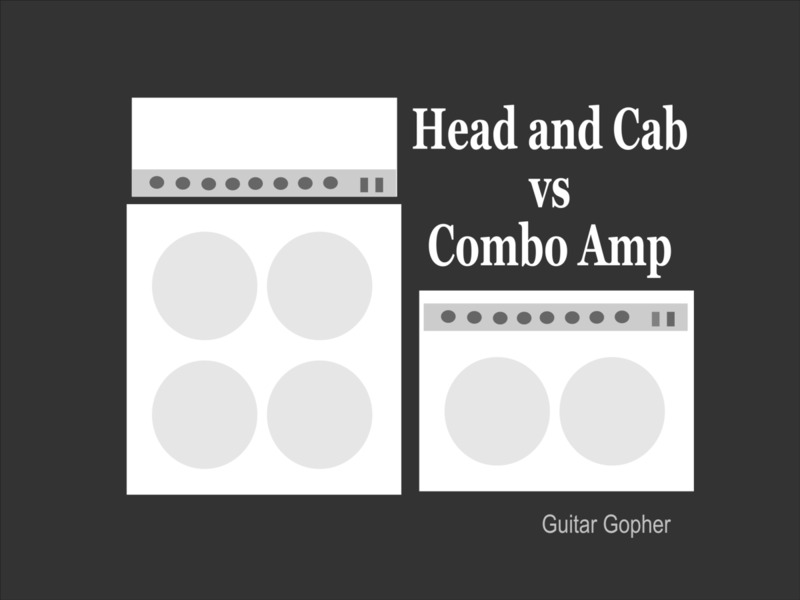 The audio quality is better than any of the options above and you get many more features as well. You'll have to decide on whether it's worth the extra cash. Help us to feature more of the products you're looking for. For around $55 to $80 (depending on capacity) the Sony Walkman is probably your best option under $100. It's easy to use, looks great, and is big enough that it won't get lost. If you're willing to spend around $60, then you'll want to go with the Sony Walkman. It allows for up to 35 hours of music playback and 4 hours of video. The device itself feels solid and it supports a number of formats including MP3, WMA, AAC-LC, and L-PCM. The ear buds are not the best in the world, but you can easily replace them with a decent model that costs around $10 like Panasonic's RPHJE120k or spend about twice as much for something nicer like MEElectronics' Sport-Fi M6 in-ear headphones. 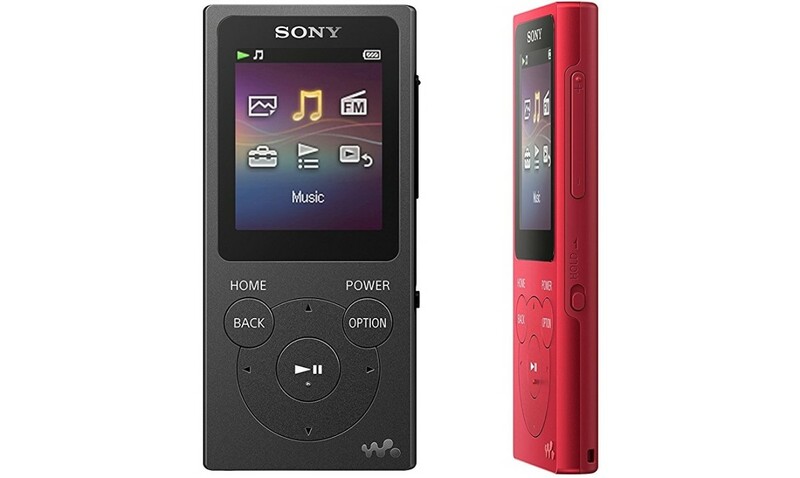 The Walkman is available in capacities of 4-16GB with the 4GB costing as little as $55 and the 16GB costing around $90. For the money you won't find a better MP3 player under $100. The Walkman is easy-to-use and big enough that it won't easily get lost. Every kid is different. So, look or something that matches your child's needs and personality. I still like the SanDisk MP3 player as a name brand quality option for tweens. The iPod Touch is a great option for those transitioning to a phone. And something like the Hotech MP3 player is a good option for younger kids. Have a question? Be sure to let me know your thoughts below. In the under $25 category you might be surprised at just how many options are available. Knock off options from China as well as inexpensive options from Ravo are popular, but there's one model that really sticks out above the rest. Before I get into this option I just want to mention that if you're looking for super high quality and flexibility this might not be for you. If you're looking for pure functionality, this new MP3 player should do the trick. That's what I was looking for, so for me it was perfect. There is no internal memory on the Goldenseller model. Instead, it comes with a 16GB Micro SD card that can be swapped in and out. 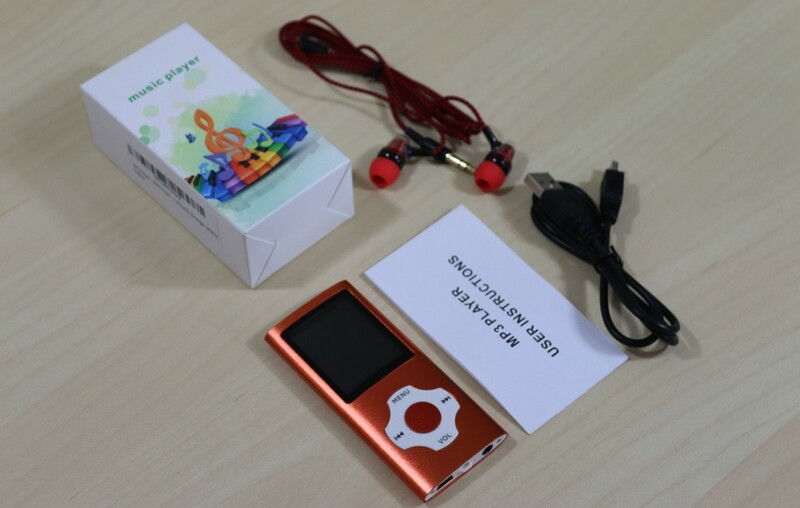 This MP3 and MP4 player comes with the Micro SD card, an earphone, and USB cable in the box. This MP4 player has a simple interface and basically allows you to lump various music into folders and listen to it randomly. It's not intuitive, so you might have to help your kids sort it out. The included earbuds for this MP4 player were not that great, but the price is at just $20. Order some $10 earbuds to go with it and you've got a great MP3 / MP4 player for your kids at just $30. The battery lasts around 10 hours. Additional options on tis device include e-book, FM Radio, as well as play and recording options. It is not compatible with iTunes. Overall, it's not perfect, but it's good enough for little kids and doesn't cost a fortune at around $20. While a single Kinivo ZX100 makes a good amount of sound you can always daisy chain multiple units in order to get more sound when needed. Other models like JBL's X-Mini II have this option as well. 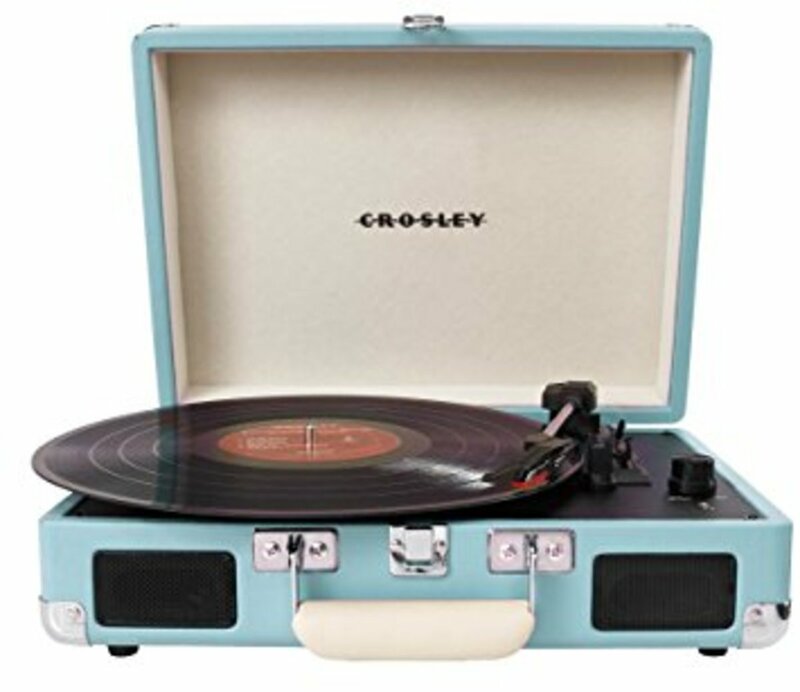 In searching for an inexpensive MP3 player I wanted to get a portable speaker that would work through the audio jack so they could listen to it together in their rooms and move it around the house for when we all want to join in. 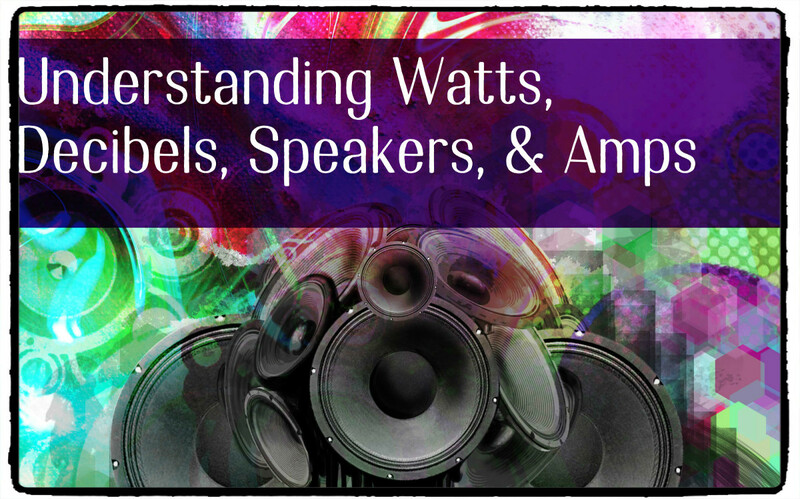 There's a number of speakers out there that are portable and sound great, but if you don't know what you're looking for you might end up paying for features that you simply don't need. At around $12 I really like the Kinivo ZX100. They're super portable and can daisy chain together if you purchase more than what. What's even better is that with even one they sound great. Without these speakers daisy chained together, they aren't that loud. To me, this was a good thing. 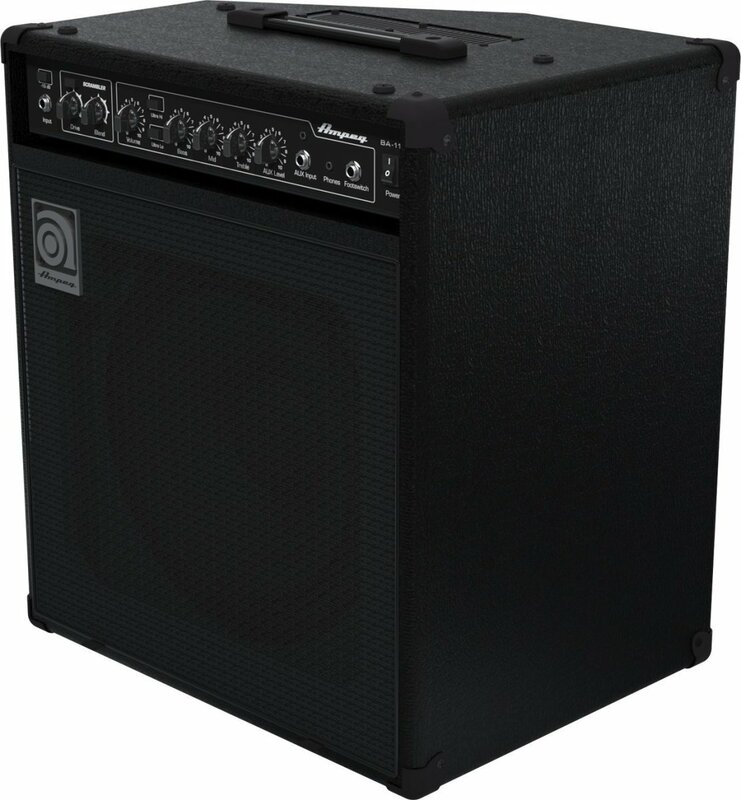 If you're wanting a little more volume, consider buying a couple of these or going with a more expensive model. Overall they're probably the best value for the money you spend. If you're looking for another good option, then compare it with the X-Mini II. 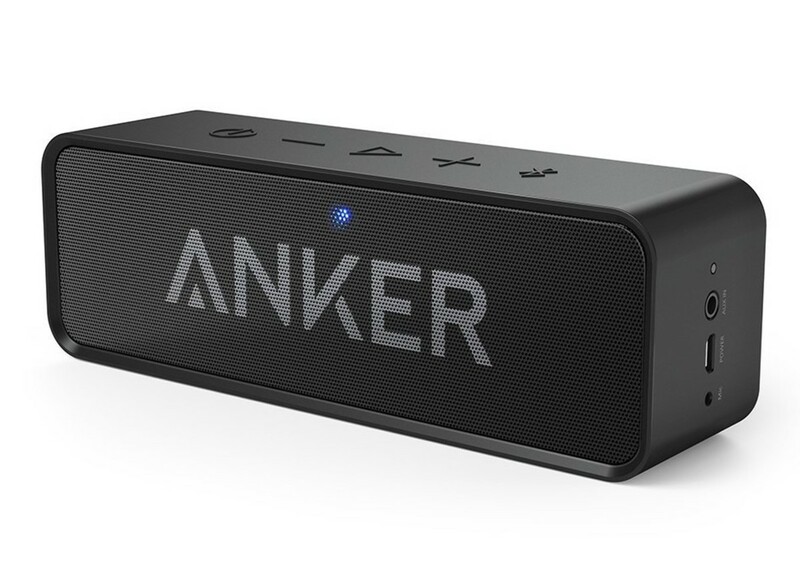 For just $36, the Anker SoundCore packs quite a punch. I've reviewed a few Anker products in the past and continue to be impressed by how the company's quality improves. One of my favorite products that they have right now is the Anker SoundCore. 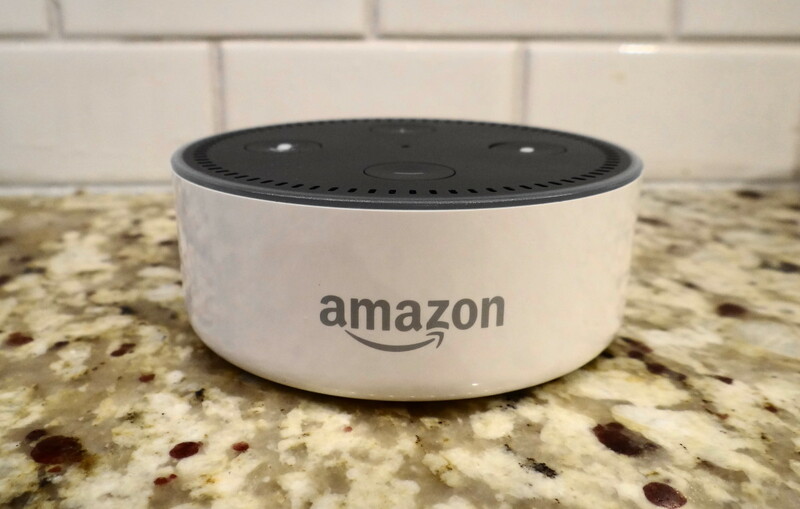 It's a Bluetooth speaker that costs around $36 that has as good of sound quality as you'd find in models much more expensive. For playback, it lasts around 24 hours. So, it's certainly something you can leave on all day and not worry about. It's durable as well, so it's perfect for kids. Overall, it's great for any device that has Bluetooth connectivity. For the cheaper devices I've listed above you can use the auxiliary port to connect directly to the MP3 player. Overall finding a cheap MP3 player that is both durable and easy-to-use is not that difficult, and good if you have little kids. If you've found a model that you prefer or have a question about one of the models I've mentioned above, then please let others know in the comment section below. Thanks for the info! I want everyone to stay away from the SweetPea MP3 player. I bought one for my grandson ($80.00) and it was broken. The company brags about their great customer service that does not exist. They will not respond to warrenty problems. Terrible product. Looking for a budget mp3 player with built in speakers for a 12 year old. Or speakers with a built-in mp3 player. Can't find much of anything and what I find has crappy reviews. Any ideas? A great one for toddlers is the SweetPea3. 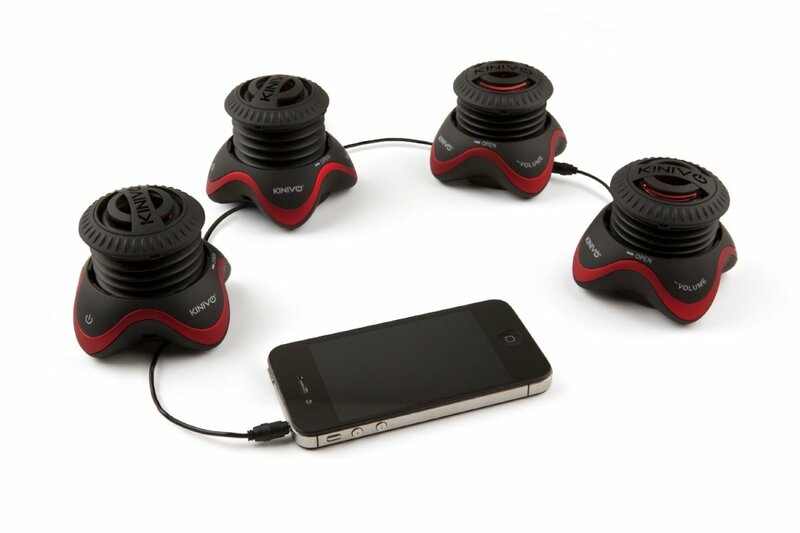 Has built in speaker, handle, and sound control if you want to plug in headphones. We have an older model with just physical buttons and love it. It's been through 2 kids and a trip to the hospital. Coating is starting to flake, but it's been 6 or 7 years. Haven't tried newer models with touchscreen.